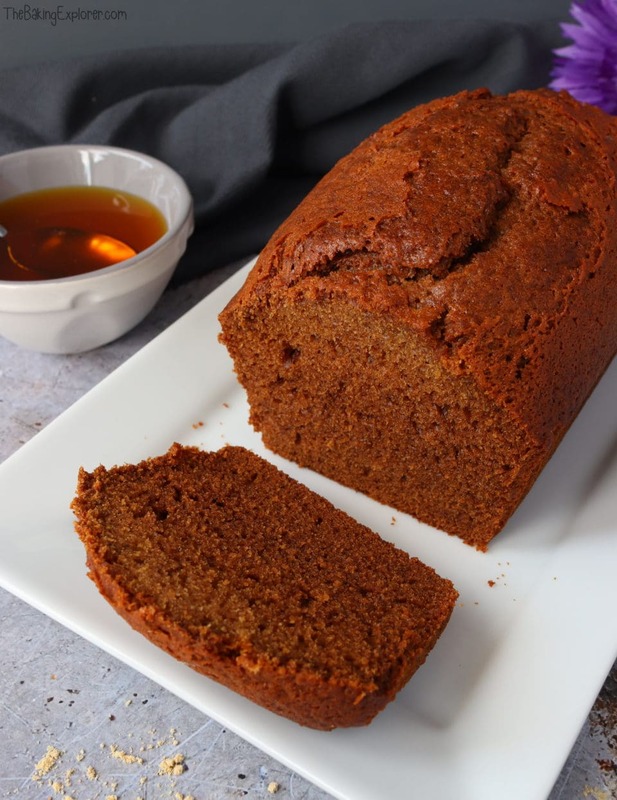 This gorgeous spicy golden Gingerbread Loaf Cake is part of a set of recipes put together by Schwartz to get you started into the world of baking. They have put together a selection of simple, traditional and tasty recipes that are all easy to make and delicious to eat. From a chocolate drizzle cake to a light fruit cake, they are great recipes for less experienced bakers who still want to create something attractive and delicious. You can see the full list of recipes by clicking here. 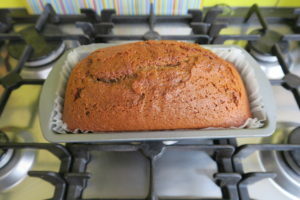 I decided to make the Gingerbread Loaf Cake because it sounded warming and seasonal. 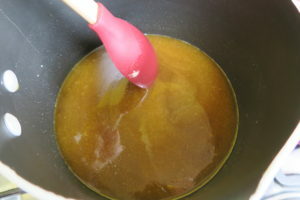 I started by melting butter, golden syrup and light brown sugar together in a pan. Once it was smooth and golden, I left it to cool slightly. 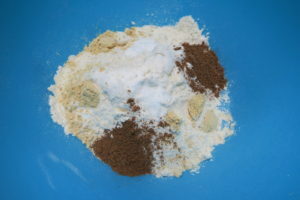 In another bowl I added plain flour, bicarbonate of soda, Schwartz Ground Ginger and Schwartz Mixed Spice. In a third bowl I beat together eggs and milk. 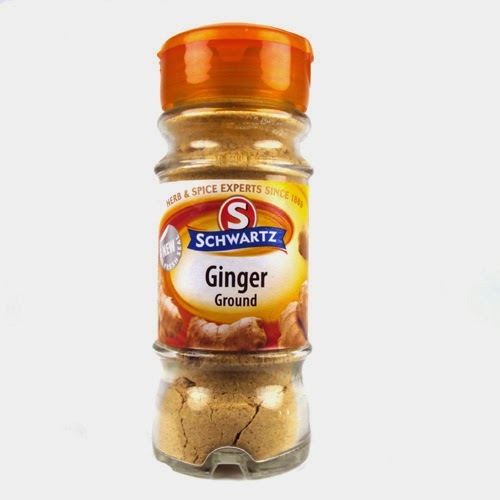 I’ve been using Schwartz spices for years and I’m a big fan of their range. They are probably the most recognisable herb and spice brand in the UK with the distinctive shape and colour of their bottles. They have a huge selection of spices which are perfect for baking, and a great variety of herbs too. I use their Perfect Shake range a lot in my cooking. They’re great for adding flavour to dishes like risotto, stir fry and casserole. 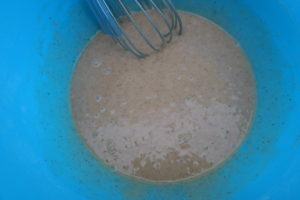 I poured the melted butter and syrup mixture into the flour mixure and whisked well, then I added the egg and milk mixture and whisked until combined. Then I poured the mixture into a lined loaf tin. I baked it for 1 hour until it was a rich gold colour. Once cool, I dug in! 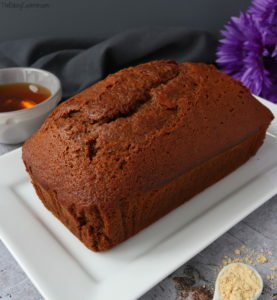 Wow this Gingerbread Loaf Cake is full of flavour and deliciously moist and light too. I enjoyed it with some cream poured on top, but it’s great on it’s own too or with custard. I was really pleased with how this turned out. 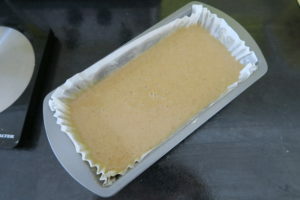 The Gingerbread Loaf Cake is best after a week stored in an air tight container, so the flavours can develop. If you can’t wait that long, like me, the good news is it’s yummy on the day it’s made too. This would be a great recipe for a Christmas gift as the cake will keep for several days and can be frozen too. NB. This post was created in association with Schwartz, all opinions are my own. You can find more of my Cake recipes by clicking here! Or click here for more Christmas recipes! Definitely warming and festive. I'm not a fan of ginger or gingerbread but have used up 2 bottles of ground ginger now for festive baking! Thanks Ros! It's definitely a suitable festive bake, but great any time of the year too! That sounds like an amazing combo!